To those who don’t want to see travel photos on a farm blog, please accept my apologies and skip this one. 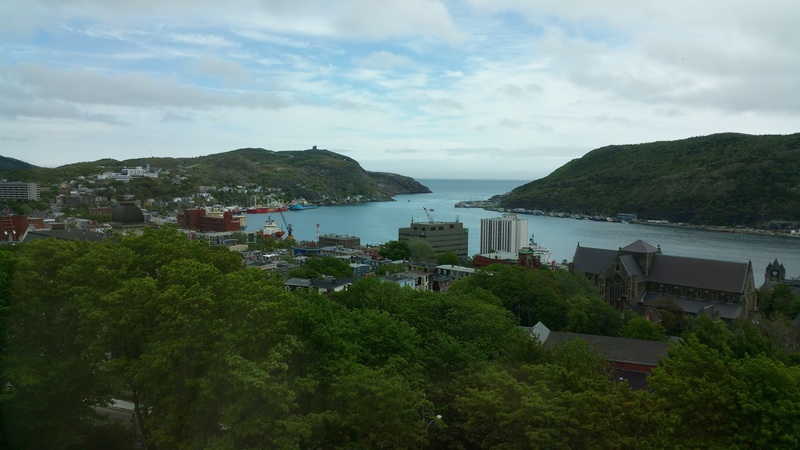 But we are enjoying St. John’s, Newfoundland, and I wanted to share a few photos for those interested. Tomorrow we leave the city for the Conception Bay area. The farmer in us is wanting to see some farms and, apparently, there are a few (but very few) farms in Newfoundland and some in that area. We also are wanting to see more of the scenery of this part of Canada and, perhaps, Ted, find a colony of seabirds. In the meantime, here are a few shots in St. John’s and vicinity. 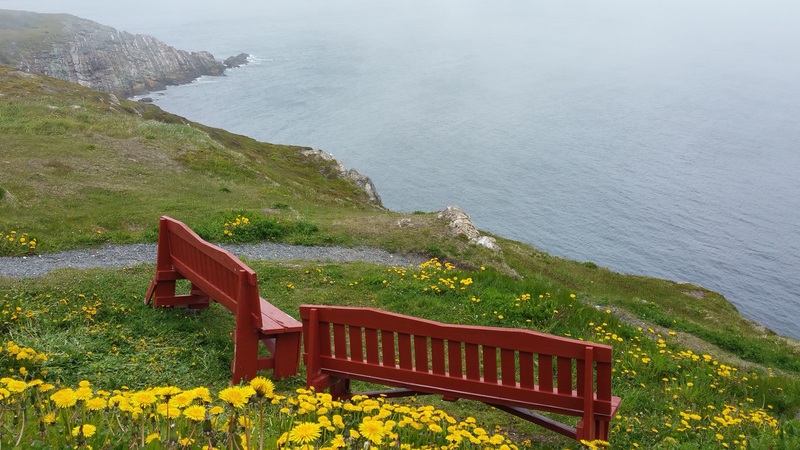 We spent a magical late afternoon and evening up on Signal Hill, above the entrance to St. John’s harbor. 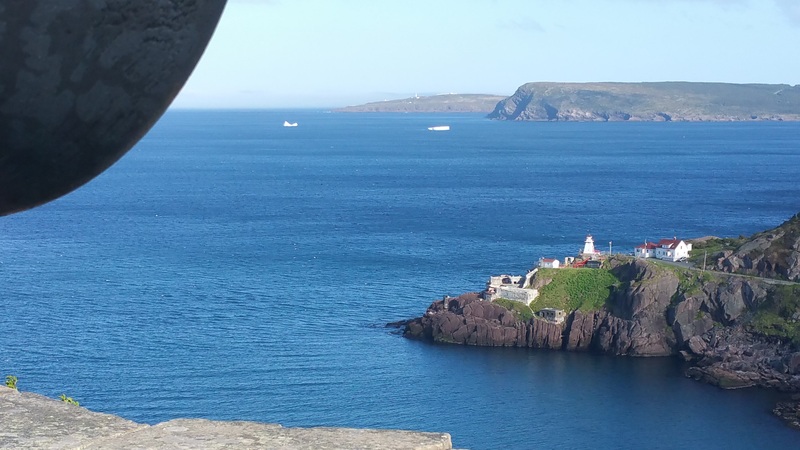 The bright, windy weather, the spectacular scenery, the sense of history (note the cannon barrel guarding the harbor entrance) and the icebergs(!) in the distance all kept us there for several hours in total. 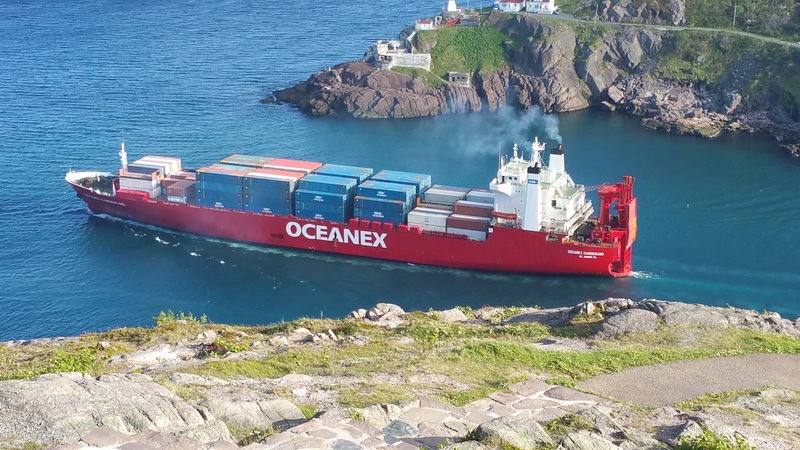 On our way down the Hill, we noticed this freighter leaving the port, so we rushed back up to see it go through the narrows. St. John’s from the other side of the harbor, the top floor of “The Rooms,” the museum and culture centre of the city. Note Signal Hill in the distance (centre left). 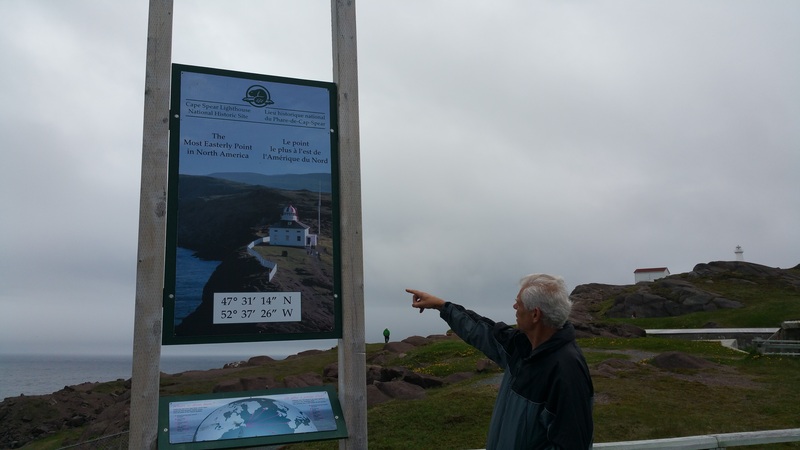 Yesterday, we did a day trip south of the city, visiting Cape Spear, the easternmost part of North America and the lighthouse and Colony of Avalon at Ferryland. The lighthouse at Ferryland. Now in private hands and famous for the picnic lunches served there. We ate inside the lighthouse because of the cold wind and fog (which lifted soon after we left). Note the dandelions in bloom. Those finished blooming in our area of Ontario in April and probably finished in the Fraser Valley in March (or earlier!). Today the head gardener at the botanical garden at Memorial University told me that many people do not plant their vegetable gardens here until this week in June because of the very cold, late springs. This week, however, despite the fog in some areas, we have been experiencing mostly sunny and quite warm weather. 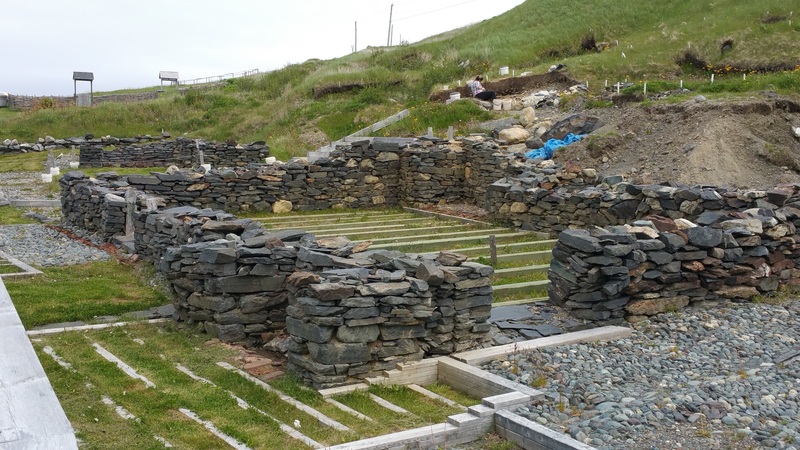 Archaelogical digs of the Colony of Avalon at Ferryland. Here in 1621 Lord Baltimore founded one of the earliest English settlements in North America. The colony remained but Lord Baltimore was dismayed at how long and cold the winter was and moved south. With his son he founded what became the colony of Maryland in what is now the USA. Cape Spear, the easternmost part of North America. Too much fog for good scenery so Sheila took a picture of this old guy looking at the sign!